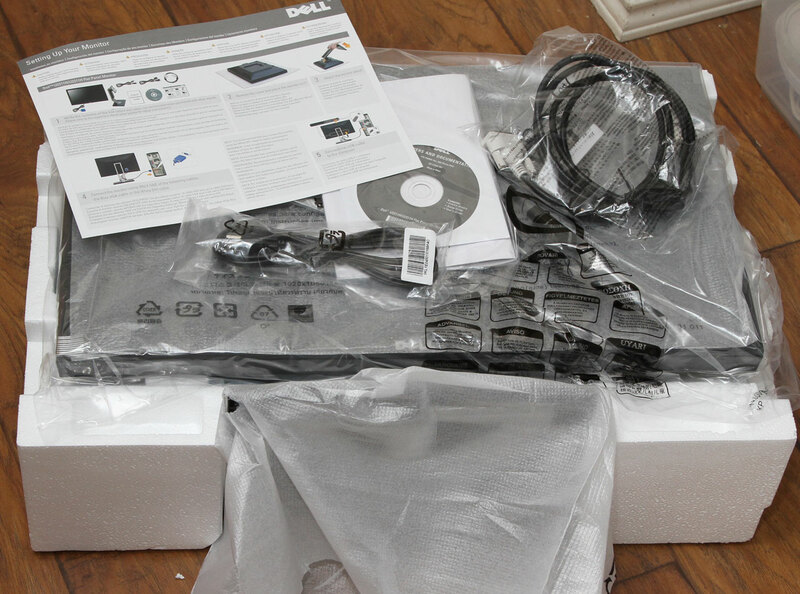 I have ordered and received two of the new Dell U2311H (U2311Hb) monitors. 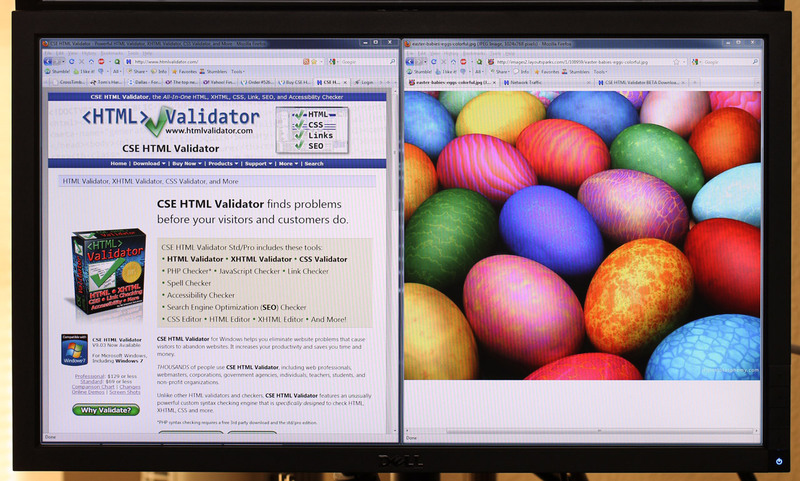 These monitors are being used with the CSE HTML Validator "2010" Development Computer Build. I know that there are people out there waiting to learn more about this new Dell monitor. I used a 20% off coupon so I got 2 of them for $478.40 plus about $40 TX sales tax (shipping was free). Dell UltraSharp displays are designed for perfection in every pixel. In the event you discover even one bright, defective pixel during your limited hardware warranty period, we'll exchange your monitor at no cost to you. There is some backlight bleeding but I think that is to be expected. I'd say it's only really noticeable if there are large solid black areas on screen. For my use, I don't find it an issue. White/gray text on a black background looks great (the black background looks very black). That looks pretty good to me color-wise, but the right side is slightly brighter than the left, at least based on the photo and the color readings. Any actual brightness difference is still not easily visible to my eye. I wonder if using a slight bounce flash could affect this? I probably shouldn't have used the bounce flash, even though I did reduce it (-1 stop) and the flash was pointing up & backwards. I may try this again without any flash at a later time. Processing done: crop, reduce, Gaussian blur, then measure colors with Photoshop's color picker. 1. There is very minor (negligible) tinting in the lower left. 2. The left side is also a little darker than the right side, so panel luminance uniformity is affected. The left bottom seems to be the darkest and the right bottom the brightest. I wonder if the brightness difference could be exaggerating the tinting issues that some people are reporting? 3. To the naked eye, it's very difficult for me to see any defects. I have to look for it and be picky. 4. It's not a perfect monitor, but I still really like it... and I doubt you'll get anything closer to perfect for this price. * Colors are impressively "vibrant" and "crisp"
* Measured with Kill-A-Watt: 1 watt off/standby, 28 watts on! GREAT! * I am very pleased with the purchase. Highly Recommended! 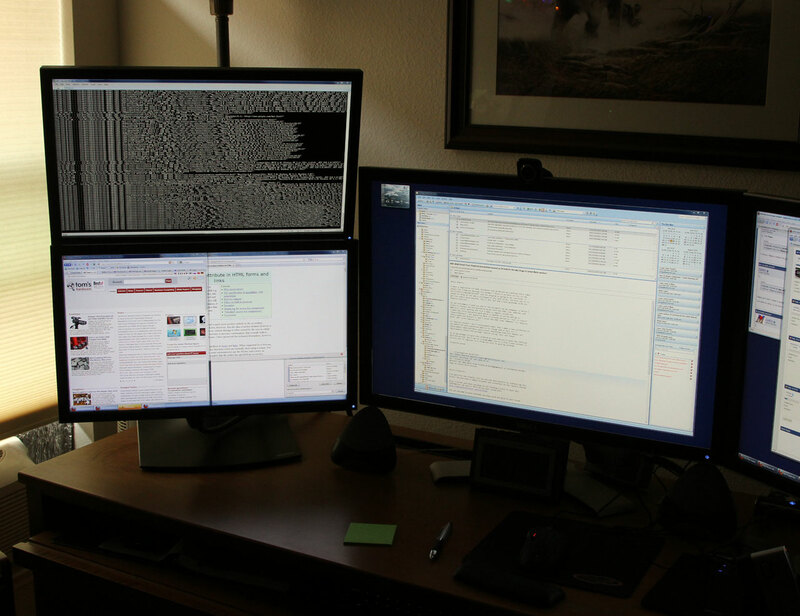 I have been using these monitors about every day since I bought them (except for when I was on vacation), and I am still very pleased with them. I am now running both with the DisplayPort interface. The only questionable event I experienced was when I noticed one or two of them blink off briefly, maybe 2 or 3 times since I've had them. I am not sure why but it is very infrequent and may not be a monitor issue (it may have been a signal issue from the video card due to an issue with the video drivers). That said, I still highly recommend this model for productivity work (what I use them for). The below image doesn't do it justice but it may help. Colors are impressively "vibrant" and "crisp". Click on it (or any image) to see it larger. Congrats on your purchase, Albert. Quick question. The U2311H doesn't come with a DisplayPort-to-DisplayPort cable, does it? max789 wrote: Quick question. The U2311H doesn't come with a DisplayPort-to-DisplayPort cable, does it? Nope, it doesn't. I ordered a couple of 10 footers from monoprice.com and got them today. I have now switched to running one of the Dells with DisplayPort so I can add another DVI monitor. Just ordered a U2311H from Dell so was pleased to read your review. 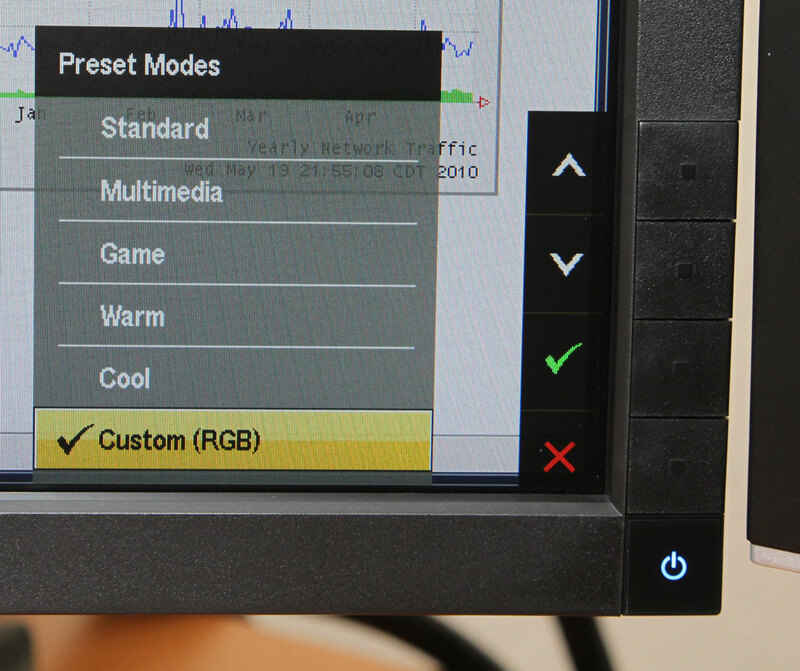 Not being familiar with caibrating monitors/displays am curious to know what is involved...do I need special gear, software, etc.? Would like to add a second monitor to my aged PC which has limited number of connection ports so was intrigued by the mention of "Display Port". What does this device accomplish? 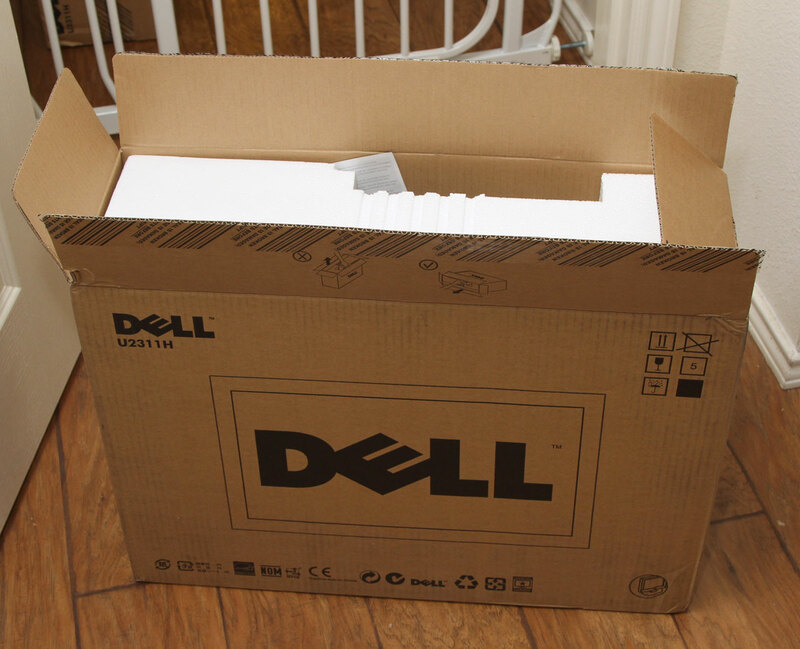 Bigguy wrote: Just ordered a U2311H from Dell so was pleased to read your review. 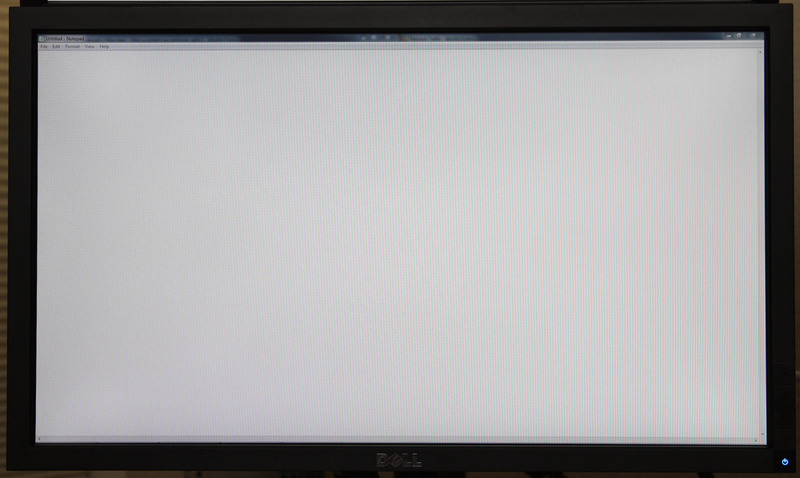 Not being familiar with caibrating monitors/displays am curious to know what is involved...do I need special gear, software, etc.? I'm glad you liked the little review. I use it because I have multiple monitors (different models) and the color difference between them can be especially annoying if not calibrated. It's probably not worth the cost for the average home user. Bigguy wrote: Would like to add a second monitor to my aged PC which has limited number of connection ports so was intrigued by the mention of "Display Port". 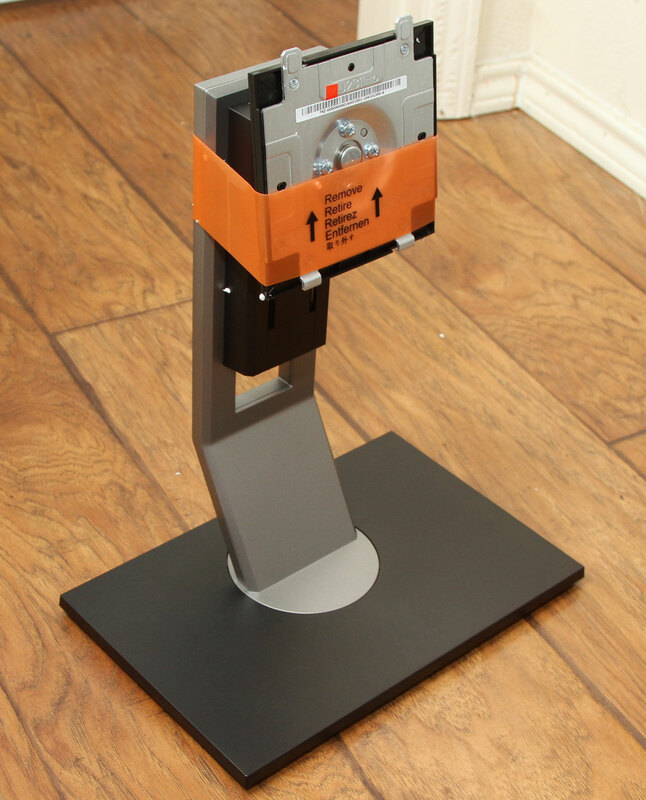 What does this device accomplish? It's just another connection type, like HDMI, DVI, D-sub for VGA. The 5000 series ATI cards usually include them. I have a couple of 5770 cards. Thanks for the links, Albert. Worth the read as background but, as you suggest, probably not worth the effort and expense given my needs. OK, just took delivery on the U2311H monitor and have to say that I love it as do others on this thread. I notice that the display has two USB ports on the side. I have a PC which has limited ports, e.g., no DVI and the maximum resolution supported on the "slider" is only 1600x900. I have used the one available USB on the PC to link to the U2311H as part of the standard hookup. 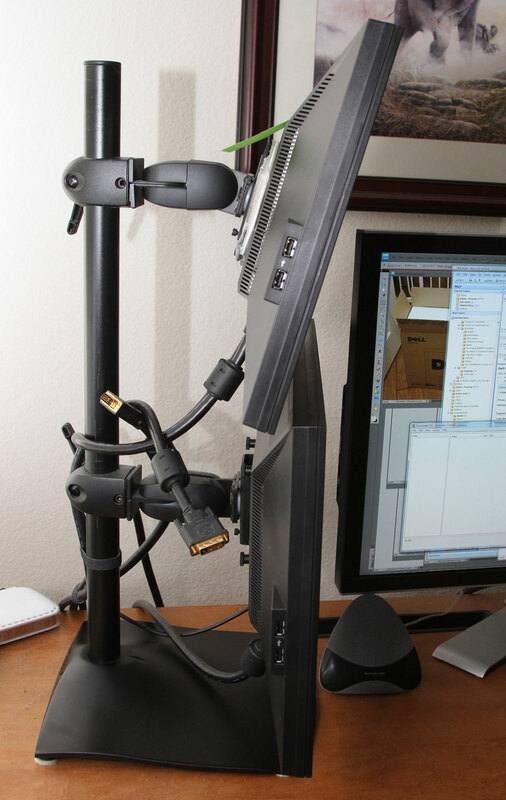 Is it possible to run my older, second monitor (no DVI, no USB) using a "USB to VGA" connector such as that below to view separate apps or will the only capability be to mirror the display of the primary monitor? Bigguy wrote: Is it possible to run my older, second monitor (no DVI, no USB) using a "USB to VGA" connector such as that below to view separate apps or will the only capability be to mirror the display of the primary monitor? As long as you have a USB 2.0 port and a compatible operating system, I don't see why you couldn't use one of those USB to DVI/VGA adapters. I haven't used one myself, but it seems like they are a good compromise if you otherwise don't want to or can't upgrade your video card. 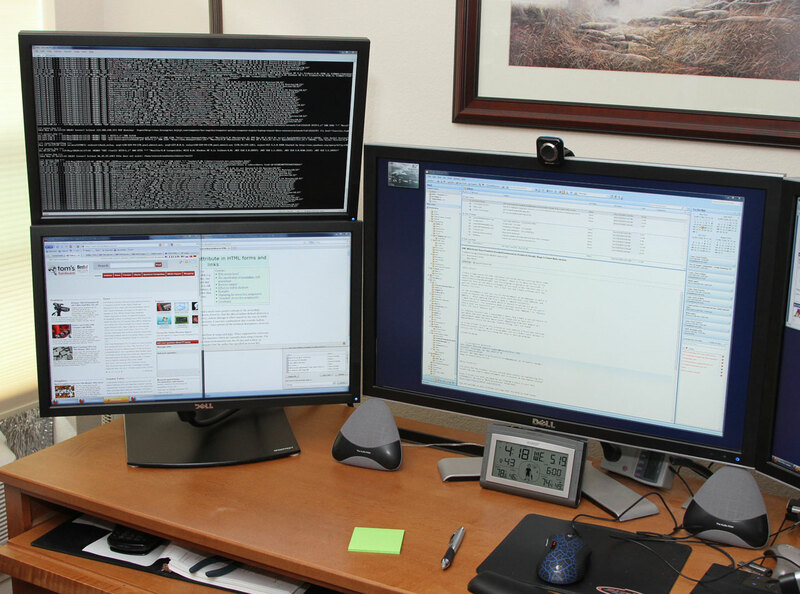 Two monitors are MUCH better than one (at least that is true for me)! You should be able to extend your desktop (not mirror) but to make sure, check the specs. If you're using XP (or maybe Vista?) or newer, then I would think you can. I don't know about older OS's. Also, I would check Newegg.com and Amazon.com for pricing and to get the best deal on a highly rated one. It's been over a year since I reviewed this monitor and it has been working well. I am still very happy with the purchase... however there is a newer version of this model now, the Dell UltraSharp U2312HM 23-inch monitor, and that one uses LED backlight technology and is probably even more impressive when it comes to power efficiency. 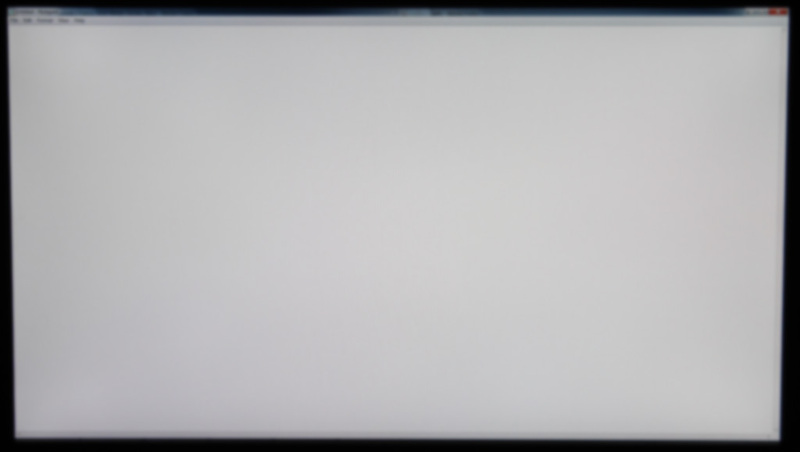 I still recommend paying more for "IPS" technology to get the better quality screen. Thanks for keeping us up to date. Appreciated.